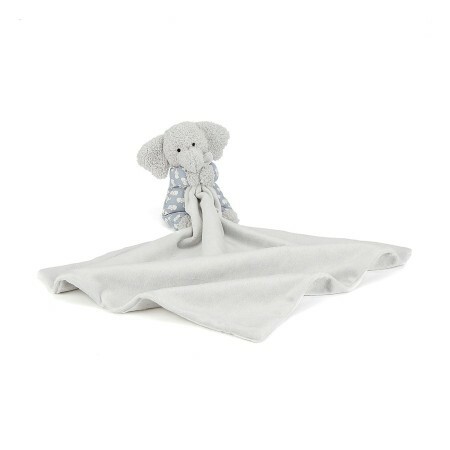 This silky silver Elephant soother makes the best bedtime pal for anyone. With matching pyjamas to suit, is anything else as cute? 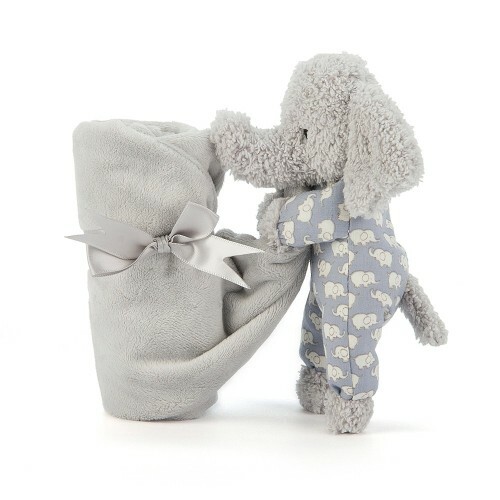 With its long squishy trunk, flappy ears and its super-soft blanket attached, Bedtime Elephant makes the perfect gift for any new-born.